When I began this project, I knew almost nothing about my maternal grand-father, Francis Walter Fletcher, or his forbears, for the simple reason that my Mother could tell me very little herself. She in turn knew so little, because her father, like so many of his generation, was killed in the First World War. My Mother was not five years old when the news of her father’s death arrived, and then it was pathetically brief. She can remember her mother sitting at a table, and weeping over the small bundle of his possessions and keepsakes that were returned to her afterwards. My Grandmother was overwhelmed with grief after her husband’s untimely death, and I think it would be true to say that she never recovered from that, even though she had the support and sympathy of her brothers and sisters, and her own parents. One document handed down to me from my grandmother, Ellen (Nellie) Fletcher, was a copy of the Will of my maternal great-great-grandfather, Joseph Fletcher. This became my starting point for research into the Fletcher family. Besides his name, it gave me a possible year for his death - 1901 (the will was proved in July of that year). His last address was there - 125 Noel Street, Nottingham, and the names of the executors of the Will - his wife, Sarah Fletcher, and his friend Joseph Hammond. A careful reading of the Will provided me with even more information - the married names of his two daughters, Sarah Ann Cotton, and Hannah Grieg, and the fact that his only son, Alexander Fletcher had pre-deceased him. There was another interesting feature to that Will, and one which had long intrigued my Mother. A quote - ‘I give all my household goods furniture plate linen china music and musical instruments and all other effects which may be in and about my dwelling house at my decease unto my said Wife absolutely’ . As far as I know, I am the only full-time musician in all this family history - I know of no other musical connections, on either the maternal or the paternal side, and so of course I would dearly like to know what Joseph Fletcher possessed in the way of music and musical instruments - but I doubt that I shall ever find out. Primed with all this, I set off for the Public Record Office in London. Did I imagine that I would have an easy task ? Well, not really, since I am a very practical person - but it has been both fascinating and enjoyable, and though at times enormous patience is required, the reward is well worth the effort. Notice that I have slipped into the present tense - my task is not yet ended, and I am not sure that it ever will be ! It may seem odd to begin a story in the middle, but that is just what I propose to do ! Were I to begin with the century, I am quite aware that I will be attempting to describe people and places that have very little meaning for my twenty-first century readers, albeit with the same family name. So the plan is to begin with the half-familiar, half-forgotten names of our grand- and great-grandparents. Once we have had time to absorb a little of this information, then we can try to travel back another two generations, and so take in the four generations of Fletchers, who between them span the nineteenth century. Alexander Fletcher and Helen Smith were married at All Saints, Boyne Hill, Cookham, in Berkshire on September 9th 1873. Alexander’s birthplace was Ilkeston, Derby/Nottinghamshire, and Helen was born at Hall Place, Hurley, in Berkshire. Helen’s father, George Smith, was the gardener at Hall Place, and Helen was the sixth of his eight children. We may well wonder what circumstances led to Alexander and Helen’s first meeting, their courtship, and eventual marriage ! I wish I could tell you, but I cannot. Their backgrounds seem so different - Alexander from a small town in the grimy industrial Midlands, and Helen, who grew up in the Garden Cottage on a fine country estate in Berkshire. 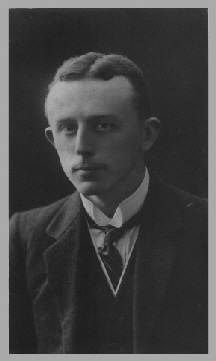 Francis Walter was the youngest son of Alexander Fletcher and his wife Helen. In all they had three children: Gertrude Helen b. 1875, Ernest George b.1876 and then Francis, very much the baby of the family, who was born in May 1885, nearly nine years after his brother. Gertrude and Ernest were born in Kentish Town, London, but by 1881 (Census) Alexander had moved his family to 14 Manbey Road, Wanstead, in Essex. The house still stands - it is one of a terrace of attractive early Victorian cottages - all now in good repair, and looking very smart indeed. There was another move before Francis was born, this time to 19 Cranbrook Road, Tottenham, in Middlesex. This house was larger and more ornate, but also part of a terrace - again, it still stands, and is in a reasonable state of repair. It was probably built in the 1880’s. The family made one more move before 1891 (Census), but not so far this time, to 4 Cedar Road, in Tottenham. Number 4 was larger still, on three floors, with a tiny garden at the front, and more at the back. It too was part of an elegant terrace. In those days, Tottenham would still have been a pleasant village, albeit on the edge of London, and the houses that the Fletcher family inhabited would probably have been newly built. Alexander’s occupation is listed as Railway Clerk in the 1881 Census, and in 1891 his occupation is ‘Commercial Clerk’. Whether this really represents a change in his occupation I am not sure - so much may depend on the categories which the Census enumerators had to choose between. What is certain is that on February 6th 1893 Alexander Fletcher died, a month before his 47th birthday. His children were then aged 18, 16 and 7. Gertrude and Ernest were probably both in employment by now, and so able to help their Mother with the household expenses. Gertrude was still a student in 1891, but Ernest was a ‘junior clerk’ already, at age 14. No doubt they all missed their father dreadfully. I do not know whether Alexander was able to make any provision for his family, given his untimely death. Occupational pensions were still a new idea then, so it is very likely that his wife had to find some form of employment, to keep a home together for her family. Not surprisingly, therefore, we find that the family made another move, a year or two after Alexander’s demise. In Kelly’s Directory for Brighton & Hove, 1899, you will find Mrs. Helen Fletcher, the proprietor of a Boarding House at 11, York Road, Hove. I do not know how long the family stayed there, but I have the impression that Francis grew up in Hove, so this venture must have lasted a few years. By 1911 (Kelly’s Directory) the family have moved away. The 1840’s, 1850’s, and 1860’s. Alexander’s parents were Joseph Fletcher and Ann Hawley. They were married in St. Peter’s, Derby, on May 16th 1842. Their parents were living in Ilkeston, on the Derby/Nottinghamshire border at the time. Derby is about eight miles west of Ilkeston - so not far away. I can’t help wondering if Joseph and Ann ran away to get married, or whether there was some parental opposition - I’ll hasten to add that they were not married from the same address - but Ilkeston was, and still is, a small place. Whatever the reason, they did not stay long away from Ilkeston and their relatives, because all their three children were born in that town. First there was Sarah Ann b.1844, then Alexander b.1846, and lastly Hannah b.1847. At first, the family lived in South Street, probably because that is where Ann’s father lived. Ilkeston is on a hill, with the church and the market place at the highest point. All the other streets lead off from the market place. They are lined with small Victorian terraces, once the homes of lacemakers, framesmiths, and many other factory workers. When new, they must have made comfortable homes, by the standards of the nineteenth century. But time has not looked after them well, and today Ilkeston looks and feels anything but prosperous. John Hawley was a widower, and a butcher. Ann herself was a dressmaker, and no doubt she continued to work when she could, to augment the family income. Joseph was a lacemaker, and remained so all his life. One always thinks of Nottingham in association with the lace industry, but in the course of the nineteenth century many small villages and towns to the west of Nottingham were also drawn into the industry. I have not been able to find any evidence so far, to show that Joseph had his own business. I think it is very likely that he worked for an employer, because there were several lace-making factories in Ilkeston at the time. In 1851 (Census) Joseph and Ann were living in South Street, with their young family. Sarah Ann was 6, Alexander was 5, and Hannah, just 3. Ten years on, and we find a very different picture. It is a fact, that Ann died sometime in the 1850’s. But when I tried to find out more, I could not. Fletcher was a common surname in the Midlands in the nineteenth century, and Ann a very popular choice of first name. I followed up more than thirty possible references to her death - none of them turned out to be the right one ! Note: eventually (with the kind help of another family historian) it was established that Ann died on 02.05.1851, three weeks after giving birth to a daughter, also Ann. So, by 1861 (Census) the Fletcher family had moved to Bath Street, and the three teen-age children had a stepmother, who was Sarah Hardstaff, before she married Joseph Fletcher in January 1860. Like her predecessor, she too was a dressmaker. Two of Joseph’s brothers - both lacemakers - lived in the same street with their families, and John Hawley the butcher had also moved across town, into Bath street. Two points worth mentioning now:- Alexander, who would have been 15, had already left home in 1861. We must presume that he was earning his living as a junior railway clerk, but whether in Nottingham or London I do not know. The second point is that both girls, when they married, did not do so from their home town. In 1871, Sarah Ann married William Cotton, a railway carriage builder, in Derby. In the same year, Hannah married Alfred Greig, a wine merchant, in London. I shall not follow the fortunes of the sisters any further, except to say that both had families; and of course those constitute the twigs, rather than a main branch of the family tree. Reading between the lines, one could ask whether the children really liked their step-mother - for it would appear that in fact they all left home as quickly as they could, each to make his or her own way in the world. Joseph was born to Samuel and Ann Fletcher in 1816. He was probably their first child, and he had at least three brothers, Matthew, Robert and Samuel, a sister Ann, and possibly other siblings too. When I come to research the Parish Registers, I hope to be able to tell you more. When Joseph was born, the family were living in Hyson Green, Radford, on the north-western edge of Nottingham. Joseph must have had some special feeling for his birthplace, for after a lifetime spent in Ilkeston, he returned to live there in the 1890’s. He bought himself a house, at number 125 Noel Street, Hyson Green - and this is where he died, aged 84, in 1901. Joseph Fletcher’s gravestone - of a dark grey slate - is still in the churchyard at Ilkeston. It stands over against the east wall of the church grounds (one of the few remaining) and the legend is still clear. Before I had advanced very far in my researches on the Fletcher family, I had the opportunity to visit Ilkeston and Nottingham, when we were on our way home from another family gathering in the Lake District. I was thrilled (and my husband was impressed) when I discovered the gravestone. However, the inscription raised more problems than we expected. It began ‘In Affectionate Remembrance of My Beloved Wife Sarah…Who Died November 29th 1887…’. And my thoughts went immediately to that Will, which in 1901 mentioned a Sarah who was one of the co-executors, and very much alive ! One had to conclude that there were possibly two Sarahs in Joseph’s life, and so it turned out to be. The lady whose name is on the tombstone, was Sarah Hardstaff, step-mother to Joseph’s three children. In 1889, Joseph Fletcher was married for the third time, to Sarah Holmes, a widow. He was then 73, and she was 43. After the death of Sarah Hardstaff, I think that Joseph must have gone for a while to live with his eldest daughter, Sarah Ann Cotton, and her family, who lived then in Sale Street, Derby. That was where he met the widowed Mrs. Holmes, who lived in Babington Street, not far away. I have not yet been able to discover where Joseph and his new wife were living in 1891 (Census), but in the 1890’s they did return to Joseph’s birthplace, and lived in Noel Street, Radford. Sarah outlived Joseph only by five years - I think she died in 1906, aged 60. Joseph’s father, Samuel Fletcher, gave his occupation variously as a framework knitter, or a framesmith. His skill lay therefore in the making of stockings on a special machine designed for that purpose. The framesmith was one of the key workers in the hosiery industry - he could set up the machinery as required, and knew how to repair it when necessary. The hosiery industry was very important in Nottingham, and the lace-making industry had its beginnings here. 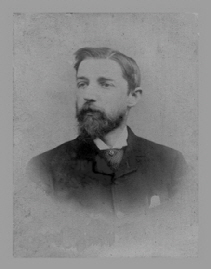 Samuel Fletcher may have worked in a factory, as an employee, or, more likely, in his own home as an out-worker. Either way, the conditions of his employment would have been pretty grim - damp, and cold, with poor lighting, long hours and low pay. It has been said that in those early years of the nineteenth century, framework knitters and their families endured extreme deprivation. Earnings were less than seven shillings a week - a week made up of sixteen hour days. Samuel’s wife must have worked very hard to rear her young family in such conditions - or maybe the Fletchers were a hardy lot. Infant mortality was quite high everywhere, in the early nineteenth century, and worse in the over-crowded urban communities which grew up as a result of the Industrial Revolution. Some of Joseph’s younger siblings were born in Ilkeston, which suggests that in the mid-1820’s their parents decided to move westward, away from Nottingham. As the hosiery and the lace-making industries gradually expanded, so more small towns and villages became involved. Samuel Fletcher died in Ilkeston in 1855, aged 64. His wife, Ann, was still alive in 1861, when she was 65 - living not far from her children and their families. Now that I can stand back, and take stock of all that I have discovered about the Fletcher family in the nineteenth century, I feel as if I have been on a journey, literally and metaphorically. I was not very familiar with the geography of the Midlands when I began this project, and I certainly knew nothing about the Nottingham lace industry, or the history of the hosiery industry which came before it. Like many people, I had some outline of the Industrial Revolution (1760 and all that !) in my head, but trying to follow the fortunes of just one family through the nineteenth century has made the larger historical issues much more meaningful. I am well aware that my researches have raised more questions than I can answer for the time being. Was Joseph Fletcher apprenticed to a lacemaker? Did he or his brothers belong to one of the newly emerging trade associations in the middle of the nineteenth century? Were they mere employees, or employers of other men. There can be no doubt that Samuel Fletcher was a skilled man, and then that his sons chose to move into the newly developing industry of lacemaking to earn their livelihoods. In turn Joseph Fletcher’s son, Alexander, started in the kind of job - railway clerk - which was created by the rapid expansion of the railway system in the mid-nineteenth century. And Alexander’s sons Walter and Francis continued in the same direction - away from industry and manufacturing - how shall I put it - from the ‘blue-collar’ jobs to the ‘white collar’ ones. Walter went into accountancy and Francis into insurance. Two and three generations on, and quite a few of us have been educated at a University, and now think of ourselves as belonging, with no doubts at all, among the professional classes. David Lowe & Jack Richards - The City of Lace. Nottingham Lace Centre Ltd. 1982.